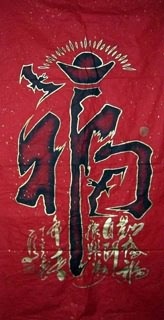 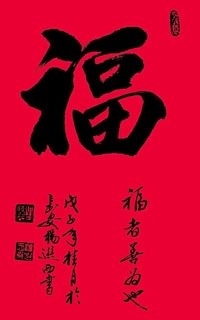 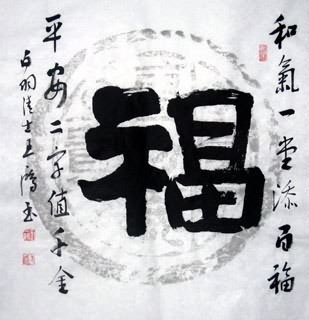 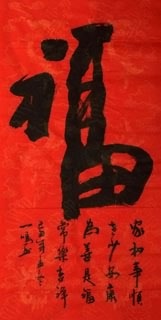 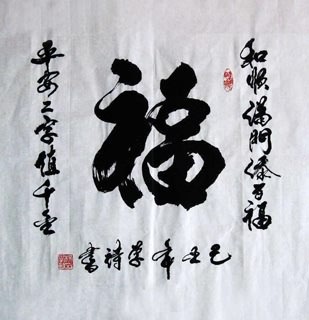 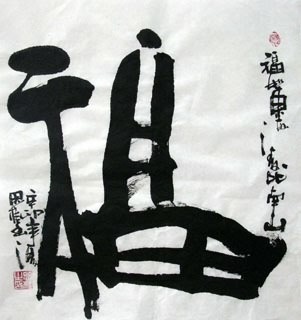 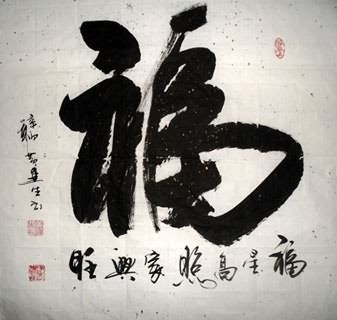 The Chinese character "福 (pinyin: fu)" calligraphy is popular in China. 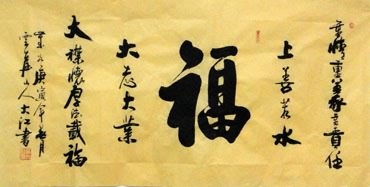 It can be translated into either good fortune or happyiness. 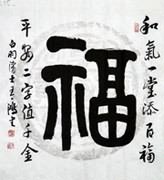 With regard to the connotation of "福", from ancient times to modern, there has many different versions of it. 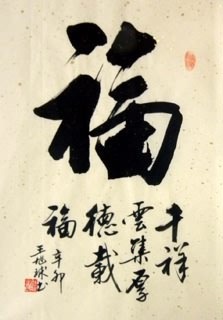 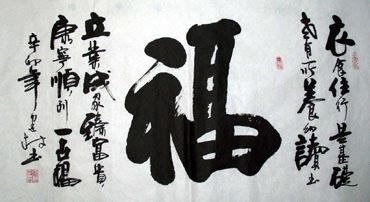 People from various positions have their own understanding of "福". 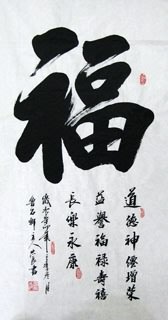 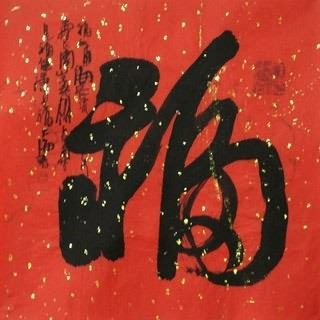 In general, "福" means so many things, which are happiness--oriented in life, seeking longevity, riches, honour, numerous offspring, and peace. 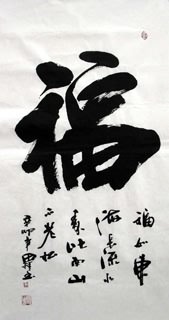 "福" holds every longing of common people, and as the main part of mascot culture, that mirrors people's ideal and aspiration from many aspects and angles.